How is it possible that I have not stumbled across Gretchen Rubin before? I feel like now after reading her book The Happiness Project: Or, Why I Spent A Year Trying to Sing in the Morning, Clean My Closets, Fight Right, Read Aristotle, and Generally Have More Fun that I want to read everything she’s ever written. The title of the book is a nice summary of what her year-long experiment entails but what you can’t know unless you read this gem is just how utterly charming and relate able the author is. One of the main points of the book is that everyone will have their own path to happiness – an idea that I personally hold near and dear. I was curious before beginning this lovely read what it would be like to dive into the details of a happiness project that belonged to someone else. Someone with different interest from me (she admits readily to not being such a fan of the great outdoors, and yoga – at least laughing yoga – also did not make the cut). It was great! The author is humble and honest and funny (sometimes without meaning to be). She admits to her faults and admirably tries to improve upon them without being preachy about it. She talks about a lot of feelings that I think many of us can relate to — one example being the idea of wanting to become a better listener without just waiting impatiently for a break in the conversation to jump in with her own story or experience. I love how she gives an honest account of what it’s like to juggle home and work life. She talks in detail about how she came round to figuring out what it is that is really important in her life. So often we get caught up in our daily grind that it’s easy to forget to stop and take a minute to ask ourselves the big questions like, “What is it that really makes me happy?” And, “How am I making space for that in my life?” Conducting your own happiness project might be just the ticket! I know I’m gushing here but one last thing that I love about this book is the incredible recommended reading list at the end. Gretchen Rubin is clearly a reader – she makes a lot of references to her favorite books and the impact they’ve had on her life. I don’t know if you are like me but sometimes when I’m reading a book that I really love I feel a little sad when it’s over. The silver lining for me on this one is that now I have a huge list of book recommends to add to my reading list from an author that I really love. Check out Gretchen Rubin’s Happiness Project for an uplifting, enlightening, very personal journey towards finding greater happiness and be on the lookout for more great stuff to come from this author. Sign up for my monthly newsletter to receive more tips, tricks and inspiration for leading a healthy, happy life! We were at Costco. In December. On a Sunday. Needless to say it was a zoo. People were honking at each other in the parking lot and inside the store the isles were so crowded that all you could do was shuffle along like a Christmas zombie at the same pace as all of the other shoppers through the entire store even though all our family really needed was dog food. Let’s be honest those free sample counters are hardly free – somehow while I was innocently trying a taste of Tillamook cheese the rest of my cart was inexplicably filling up with items that would add up to hundreds of dollars at the checkout. I shuffled past the women’s clothing section and being stuck in a zombie pile up I HAD to look at what they were selling. Two of my weaknesses are hoodies and the color purple. Lo and behold there was the cutest purple hoodie sweater I’d ever seen! It was like it was made for me (well, and probably thousands of other women across the country). I checked out the price. Definitely not in the budget – especially this time of year with so much other spending going on. And so I, the girl with a cart load of yummy healthy food for my beautiful family, sank into a serious case of the holiday grumps. Did I stop at just being grumpy about not being able to afford a purple hoodie? Oh no! That would not be enough of course. I then had to get down on myself for being materialistic. Didn’t I recognize all of the blessings I did have?! What was wrong with me! But berating myself just made me feel worse and didn’t fix it so I sunk deeper. At the check out I looked at all of the other holiday shoppers with their carts full of gifts and came head to head with the super ugly and uneasy feeling of jealousy. Ugh! Now to my own credit this is not a normal feeling for me. I’m generally a pretty positive practical person and so I was kind of shocked to meet up with these yucky feelings there in the Costco check out line. My husband and I over the years have chosen jobs that we felt made a difference and that we liked doing over other potentially higher paying occupations. Things are sometimes tight but we are a long ways off from being poor. Things were a little extra tight this year with both boys in preschool and myself working only part time, but those were choices we made to have the life that we wanted. I reminded myself of all of this and the queasy feeling eased a tiny bit but still lingered. I didn’t really feel like partaking as the family sang boisterous holiday songs along with the radio on the drive home. Somewhat to my surprise this little exercise was making me feel a whole lot better! Not only was I steeping in the happy memories of all of the things that I love in my life I was seeing a pattern that was not as materialistic as I had feared. Whew! I called my sister and she made me laugh like she usually does and life was looking up a little more. I took a deep breath and headed downstairs. There, my sweet and incredibly intuitive husband who had not only refrained from asking where I had disappeared to but had also made dinner and was now playing legos with the boys walked over and gave me a big hug. All of a sudden the ridiculousness of all of this brought on for want of a purple hoodie shifted into perspective and the sweetness of my life came back into focus. Thank goodness! Why do I bother telling you my purple hoodie sob story? Well the night of my gratitude tally I did a little research on happiness. According to the Association for Psychological Science studies have shown people who are happy, “have more stable marriages, stronger immune systems, higher incomes and more creative ideas than their less happy peers.” Well who wouldn’t want all of those benefits! But the other exciting thing their research has show is that, “people can increase their happiness through simple intentional positive activities such as expressing gratitude or practicing kindness.” (Lyubomirsky & Layous, 2013). Awesome! Science backs up that not only did my gratitude experiment help to make me happier (which I knew of course but always nice to be scientifically backed up), but it also probably had a positive effect on my health and well-being. Some people say money can’t buy happiness. Other studies have shown that to be true but only with an annual income over a certain amount. Maslow’s Heirarchy of Needs suggests people can’t focus on things that make them happy until they have their basic physiological and safety needs met first. I’m curious what you think? Are the best things in life free? Or do you need a certain amount of money to lead a happy and fulfilling life? Leave a comment below and let me know what your opinion is. For more tips tricks and inspiration for leading a happy, healthy life sign up for my monthly news letter. I was out for a morning run on a glorious trail that follows the coastline and then turns and heads into the woods past giant evergreens and Big Leaf Maples and it felt great! There were a lot of things that had to happen for me to be able to go running at this time of day in this incredible place- sometimes it felt as if I was trying to single-handedly make the stars align just to have an hour to myself (kids fed, dressed and off to school, clean running clothes on hand, letting go of the guilt that I “should” be grocery shopping or doing laundry instead). But today everything had turned out perfectly and I had one beautiful hour to myself to just run. I breathed in deeply. There was that pungent fall smell of composting leaves. There was just a hint of that wonderfully invigorating chill in the air. People I passed along the trail seemed happy and beautiful and vibrant. Colors seemed brighter. I felt light and fast and like I could run forever. I was coming up on mile three and my familiar friend the runner’s high had just joined me. I was about halfway into my run when it happened. I gave my Fitbit a happy little tap to see how many thousands of steps I certainly had already accumulated but the screen stayed dark…I tapped again (surly I just wasn’t tapping hard enough). Nothing. Nooooooooooooooooooo! My Fitbit was dead – and I knew it was really dead because it had been acting a little wonky the whole week and I had left it in the charger all night the night before just to make sure it was charged for this run. I stopped running. How could this be? Everything that went into making it possible to even be able to go for a run and I wasn’t getting “credit” for it! Now I know to some of you it seems crazy to stop in the middle of a perfect run and give into internal wailing on a beautiful day just because my tracker had stopped working. But I also know there are some of you out there who have tracked steps or miles or earned credit towards a goal and can commiserate with the feeling of wanting to earn those gold stars! When I was studying to become a coach we talked a lot about intrinsic (or internal) vs. extrinsic (or external) motivation. How when people are intrinsically motivated to create healthy habits it is much more effective and lasts longer than if the motivation is purely to earn some kind of reward. I had learned this and of course theoretically agreed, but since finishing school had not until this moment so personally experienced how that really felt. After a minute I realized how ridiculous it was that I had stopped running and started laughing. To anyone passing by I probably would have looked like a lunatic stopped in the middle of the trail laughing by myself (luckily there was no one around at that moment). As always life and personal experience are the best teachers. I took a minute to reset. Why was I out here anyway? Not to earn a gold star or another light on my step tracker! I was out here because it felt damn good to be using my body. Because I crave that runners high. Because the light coming through the trees was gorgeous and uplifting and good for my soul. Because I don’t want to just be around when my grandchildren are born, I want to be healthy and strong enough to play with them. The rest of the run was great – made even better by the fact that my Fitbit had died and caused me to take a few minutes to reset my mind and heart and remember why it is that I was really out here in the first place. So did I throw my Fitbit out when I got home? Well yes, but I also immediately ordered a new one. Because the truth is although I wish I was constantly tapped into my intrinsic motivation to move, tracking my steps helps me stay conscious of how much I am moving. There are certainly days I will walk or run a little further to just reach the goals I’ve set up for myself without thinking too much about the bigger why. There is nothing wrong with that! As long as there is a bigger why and I know what it is so I can remember it when I need to. What’s your bigger why? What is it that inspires you to get moving on those days when you might not exactly feel like it? I’d love to hear about it in the comments section below. For more tips, tricks and inspiration for leading a healthy, happy life sign up for my monthly newsletter! What is Unattachment and Why Is it Important for our Health and Well-being? When we were young my husband and I fell deeply, madly, passionately in love with each other and simultaneously with a beautiful twenty acre piece of land nestled in the foothills of the Cascade Mountains. It was (and is) a magical place with a creek and open pasture, edged by huge big leaf maples and towering cedar trees. The views of the surrounding mountains were incredible. It felt wild and expansive and we rose to the challenge of filling every inch of it with beautiful dreams of a home and gardens and a family. We were visionaries of the most incredible life and this was the place we were going to sink our roots in and live our whole lives long. The property wasn’t quite legally subdivided and so couldn’t officially be sold yet, but we were confident that things would be taken care of. The owner was open to us using it until all of the permitting was completed. We happily got to work planting trees, putting in a garden, building a tree house and garden shed. After a year or so things were still not finalized, but seemed to be moving in the right direction. We built an arbor and on a sunny August day got married there and celebrated with the entire community. We waited five years for permits to be filed and subdivisions to be completed. We waited five years before the whole thing crumbled. The owners went through a bad divorce, there was a family misunderstanding…we never really understood fully what happened (isn’t that sometimes the way with things that break our hearts). We were told the land was no longer for sale and wouldn’t be. We were lost. I mean to say we were completely wrecked. Done for. Brokenhearted. Shocked. Angry. Confused. We practiced the opposite of unattachment. We were so angry! And we held onto our anger and simmered in it and with no productive way forward we stumbled through life for awhile. As a couple we suffered and our marriage suffered too. We felt victimized. Someone had taken all of our dreams and crushed them. Someone had broken years of promises with no apologies and no alternatives. Who were we even now? What were our dreams? Slowly we found our way through. Slowly we built new dreams and a beautiful life that we never could have imagined at the time – but not before a lot of lost time and more heartache than was necessary. When you spend an extended amount of time in a negative state (such as holding onto anger) there are very real physical repercussions. It is it’s own kind of chronic stress. Under stress your body releases the hormones adrenaline and cortisol which in small doses can be helpful in certain situations, but when they course through our system on a regular basis they can have a very real negative effect on our hearts and brains. Research has shown that chronic stress can cause you to actually become hardwired to react to new situations in a negative way and can inhibit growth of brain cells that make connections to the prefrontal cortex-the part of our brain responsible for learning new things and creating memories. My husband and I were talking about it the other day and he asked me what I would do differently now. At that point in our lives we did the best we could with the experiences and tools that we had. But if I could go back now and talk to myself I would tell myself to cultivate gratitude. To focus more on the good things that happened there and less on the the things that were “taken from us”. I would work on reframing the situation to realize that we weren’t victims, that we chose to hold on for as long as we did. I would journal and meditate and breathe and look ahead to new adventures and I would try to let go more gracefully. Those feelings of anger and bitterness didn’t serve me and they didn’t change the outcome of the situation at all. So I’m writing to you today about the power of unattachment because I wish it was something that I had known about and cultivated back then. That piece of property was never ours. Despite paperwork sometimes saying otherwise we don’t ever truly own a place. Another person no matter how much we love them does not belong to us. And as much as you might want something and work towards a dream you can never be absolutely certain of the outcome. Please don’t take this post the wrong way. Dreaming big is not a bad thing! Loving deeply is the only way! Taking time to mourn something you’ve loved and lost is a necessary part of moving on. Do those things with your life! And then when it’s time to move on from a dream or a person or an expectation take a deep breath and let go. Practicing unattachment can help on any scale – from letting go of someone who has broken our heart to letting go of our expectations that we won’t get stuck in traffic or that another person is going to feel the same way about something that we do. When we are able to set aside our expectations we are able to find peace. When we practice unattachment we are able to meet the challenges this sometimes tumultuous life puts forward gracefully and calmly. Unattachment does not mean you need to live in a cave somewhere in the Olympic rain forest with only a hand-carved wooden bowl and spoon as possessions. It doesn’t mean you shouldn’t love deeply and passionately and madly. It doesn’t mean it’s wrong to feel that little surge of giddiness when you put on that new pair of jeans that fit you just perfectly. It simply means being able to let go gracefully when it’s time to so that you can move forward towards the rest of your life with an open heart and no regrets. Sign up for my monthly newsletter for more tips, tricks and inspiration for leading a healthy, happy life! Recently my dishwasher broke down and at the same time we had an above average amount of out-of-town company staying with us. Trying my best to keep everyone fed and also have time to actually connect and catch up with them I found myself using what seemed like every dish in the house. At the end of the day after the kids were down I was faced with a mountain of dirty dishes that took at least an hour to wash by hand. On top of that because I was spending so much time washing dishes all of the laundry, toys, paperwork and everything else started to pile up. I noticed I was feeling resentful-not towards my company because I really was happy to have them there – but towards these mountains of “stuff” that sat waiting for me as if they were trying to ruin the end of my day! I’m a big believer in the idea that things come into your life when you need them. During the week of the broken dishwasher and above average amount of company a friend of mine mentioned this book. It sounded interesting so I added it to my library holds list. Sometimes holds take weeks or even months to come in so I often put books on my list and then forget about them. This book came in the very next day – it was as if it knew how much I needed it! The Life-changing Magic of Tidying Up is as much about decluttering the mind as it is about decluttering your house. Marie Kondo helps us to realize that all the possessions that we surround ourselves with take up our time and energy even if we are not conscious of them. Think of all of those things you have tucked away that you haven’t used in years and never will (come on, I know you haven’t looked in the back of the bathroom cabinet for a while)! Getting rid of them and keeping only what is truly useful and brings you joy creates more space in your life. In this book Kondo walks you through a very specific order in which to tackle decluttering your home and helps you grant yourself permission to let go of things that are no longer serving you. One of the things that I loved best about this book was that it encourages mindfulness in our everyday tasks. Kondo talks about the importance of thanking our possessions for a job well done, and putting them away respectfully in a way that they can rest until we need them again. While this might sound a little woo woo, what I love is that it raises your level of consciousness and gratitude for those everyday things that surround you. I am certainly appreciating my dishwasher this week! But I’ve also been trying to be grateful for those things around me that I don’t always take the time to think about. I’ve been folding the blankets I usually leave in a heap on the couch and at the same time appreciating the warmth and comfort they gave me while reading. Or putting my shoes away with respect and appreciating how hard they worked to carry me through my day. Yes, my house is staying tidier, but even more than that my heart and soul feel in a better place. This book is not for everyone. One friend thought the author was a bit over the top and took things to too much of an extreme (however, she did also admit it inspired her to take eight bags of clutter to the thrift store). Another dear friend felt like this kind of process was written from a somewhat privileged perspective – that many of us can’t just get rid of stuff that doesn’t bring us joy because we can’t afford to replace that needed item with a version that does bring you joy. A woman in my running group had the funny response that her toilet bowl brush certainly doesn’t give her joy but there’s not way she can get rid of that! Of course if your warm winter jacket isn’t in your favorite color you shouldn’t just toss it out, and please don’t get rid of your toilet bowl brushes (I think a dirty toilet might just bring you less joy than a toilet bowl brush after awhile). What I do know is that since reading this book two weeks ago I am closing in on having taken twenty bags of unnecessary items to Goodwill or the dump. While I will admit to not being the tidiest person I know, I am also not a hoarder! The problem isn’t that I haven’t been able to let go of things, it’s that after awhile it’s easy to just stop noticing them. This book helps you mindfully take charge of your surroundings so that when you walk into your home instead of feeling bombarded by dirty dishes and piles of clothes and toys it feels like a haven where you have space to breathe. Try giving this inspiring book a read. And just like when you tidy your house take what serves you, and let go of what doesn’t. For more tips, tricks and inspiration for leading a healthy happy life sign up for monthly updates from Wellspring Health and Wellness. I’m a podcast junkie – I can’t even tell you how many conversations I’ve had with people that started out with, “I was listening to this podcast…” Well here I go again! I was listening to this podcast that I really love and the woman who creates it is also a blogger and initiated a challenge to her listeners to sit down and write why it is they feel inspired to do what they do. So here goes! This health and wellness coaching thing has been a long time in coming for me. I was not a person who felt like they had a “calling” from a very early age and even when my friends seemed like they were getting it all figured out and finding careers they loved or starting families I was still a little unclear about what was the right way forward for me. Yes, I had interests and jobs I liked and people I loved and in general I would say I’ve always been a pretty happy person but I still felt like there was something a little bit beyond my peripheral vision. Something I was supposed to be noticing but couldn’t quite get a focus on. Maybe sometimes our dreams are so big that we aren’t at a point in our lives where we are able to step back far enough to have the perspective to see them? Or maybe we just need the right amount of time to let them simmer and grow and develop. For some people that can take longer than others. I was a late bloomer so to speak and it was scary for me. I was starting to feel a little swept along by life and that the whole idea of finding purpose was just not going to happen for me – but I wanted it so badly! 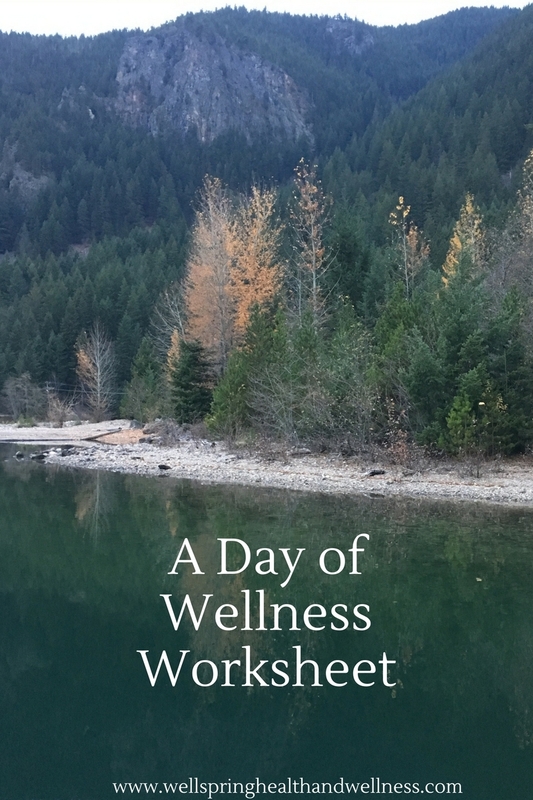 In a way that feeling – that struggle of wanting so badly to be inspired or called or certain about my purpose or however you want to think about it – is exactly what led me to health and wellness coaching. Because I realized what I really want is to live in a world surrounded by inspired people. I want to feel that way myself and I want to help others feel that way too. I want people to experience more moments of awe in their lives. I want to be a force that helps spread positive ripples out into the world. I want to inspire mindfulness in our every day experiences. I want to help people to look up from their daily lives and realize what a miracle it is that we are here. I’ve chosen to start by helping people learn how to take care of their bodies because it is such a gift that we have them. I personally believe when our bodies feel good, when we are at home and confident in our skin, it’s not as hard for us to address the other really important stuff. When we are at peace with the physical it is easier to be aware of our surroundings, and appreciate our lives and the people in them. It allows us to have the energy and creativity to start working on growing the rest of us – to become our inspired self. We take care of the physical first but it’s just a step towards taking care of everything else about us. Our emotional state, our relationships, our spiritual growth, our purpose. When I’m long gone I want people to remember me as someone they were glad to have known. I want to help people to have the confidence to take a step back and gaze unabashedly at their big dreams. I want to leave this place feeling like I’ve made a difference, like the world is in an upward spiral and somehow I was able to be a part of that. Maybe that sounds a bit grandiose or idealistic? But I think ultimately leaving the planet a better place is probably something a lot of us want. I’ve chosen health and wellness coaching as a means to a big end but it’s just my way of hoping to inspire people. In fact I think there are probably as many different ways to inspire as there are people on the planet – my friend Christian inspires people by mixing up awesome beats, my friend Jenny makes the world brighter with her ridiculously funny sense of humor, my friend Amanda blows me away with her ability to listen and express compassion. Really each person out there has their own thumbprint for helping create an amazing, beautiful, kind, happy, peaceful, inspiring planet to live on. And damn it, that’s a place I want to live! So there you go. Podcast blogger challenge accepted. P.S. Sign up for my monthly newsletters for more tips, tricks and inspiration for leading a healthy happy life. You can also find my free Meal Planning Tips and Tricks Sheet and Meal Planner here. I just spent the most incredible weekend with 8 other women running in a race that required us to run at night, through dust and cow pies, and up and down enormous hills. It was very physically challenging, there was very little sleep for 24 hours and I loved every single second of it. I’m not writing this blog post to brag about how awesome I am. I’m writing it to talk about the power of friendship and how the people you surround yourself with can lift you up and influence how you feel about yourself and what you think it is you are able to accomplish. You may have heard this idea floating around the internet the past few years that, “you are the average of the 5 people you spend the most time with” coined by business philosopher Jim Rohn. When you spend time with people that you admire, that are working hard to reach their goals, that are positive and supportive of you in reaching yours, that believe in themselves and believe in you it lifts you up too. Sometimes without even being completely conscious of it you start to believe that more is possible because they do. Think about it. Do you want to improve your health and wellness? Who are the people in your life that encourage you to do that? Who invites you to go for coffee and walk instead of out for burger and fries? Who gets excited when you tell them about your latest idea? Who is supportive and listens when you are going through a rough spot? Who exudes positivity and possibility? Who is working hard on their own life goals and regularly expresses gratitude? Seek those people out! I mean right now, today. Whoever it was that popped into your head when you read that last paragraph I want you to immediately call and set up a time to do something with them. And not just any old something, ask them if they will do something with you that helps you to grow in whatever way it is that you are aching to grow right now. If you want to be more physically active ask them to take a walk with you or sign up for a race to train for. If you want to be more creative see if they will come over for a crafts night. Do you want to be more food savvy? See if they might sign up for a cooking class with you or spend an evening doing healthy meal prep together. Now I’m not saying that you need to go and ditch all of those friends of yours that maybe are not pushing you to grow, or showing by example that it can be done. Of course you should keep those people in your life if you love them! It’s just that honestly we have such very little time – it’s the number one thing people tell me that is keeping them from reaching their health goals – so it’s worth consciously choosing who it is we want to spend the most time with because it really does have a big impact on our lives. It certainly impacted mine last weekend. There is no way that alone I would have driven 4 hours into the mountains to run in a race through the night and day. And even if I did it would not have been the same finishing the race without having them screaming me in at the finish line, proud of me and believing in me 100%, and getting to do the same for them. These women never doubted that I could do it and so it helped me to believe that I could.Even more than that they were out there putting the work in too, going for training runs in the dark and in the rain and up gigantic hills. Setting an example of possibility. So go now and make that phone call or send that text! It’s time to make the people in your life who make you better a priority.